Huobi and VEB Innovation Fund have teamed up to share their respective notes on virtual currency regulation. According to the CEO of the Russian VEB Innovation Fund, Vladimir Demin, the expertise of crypto exchange will help both companies form a legal basis on regulatory issues. The collaboration will make it easier for the two companies to compete in existing regulated jurisdictions. Established in 2011 with the purpose of increasing investment in high-tech startups from Russia, the VEB Innovation Fund also aims to promote local innovations globally. VEB created the Center of Digital Transformation for promoting crypto-related and blockchain technologies. Through its partnership with Huobi, VEB intends to gain basic knowledge regarding cryptocurrency regulation from the fourth largest cryptocurrency exchange in the world. VED wants to apply this knowledge in Russia with the hope that it will contribute towards the amendment of a legal framework on virtual currencies in the country. Andrei Grachev, Huobi’s spokesperson in Russia stated in April, “We’re glad it has finally happened. Russian investors had no communication with global trading platforms so far, and Huobi is the first to open its unit in Russia.” Both the companies have entered into the collaboration for modernizing the legal framework for crypto and blockchain technology in Russia. Grachev stated that Huobi is eyeing the Russian market since the start of 2018. 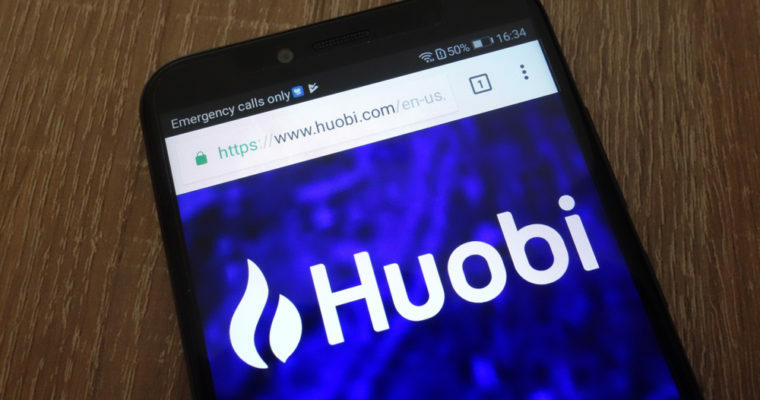 According to Edward Chen, senior director, Huobi Global, the exchange will offer its prominent services like Huobi Cloud and Huobi OTC in the country. However, at present, the main issue for Huobi is to come up with the right way in terms of regulations for offering these services in Russia. That is where the partnership with VEB Innovation Fund can be of great help to the company. Huobi will offer its notes on cryptocurrency regulations and extend a helping hand towards institutions in Russia. It will eventually open doors for business for Huobi. Apart from Huobi, VEB has also collaborated with two other world-famous blockchain institutions, Ethereum (ETH), and Waves (WAVES).